How long have you been taking photos? As a hobby, about 10 years. Professionally, closer to 4 or 5. What was your first camera? I mowed my neighbor’s lawn for my first camera when I was about 14. It is the Minolta SRT 200 that I still shoot with pretty regularly. It was the camera that launched my love affair with film. What is your favorite location to photograph? 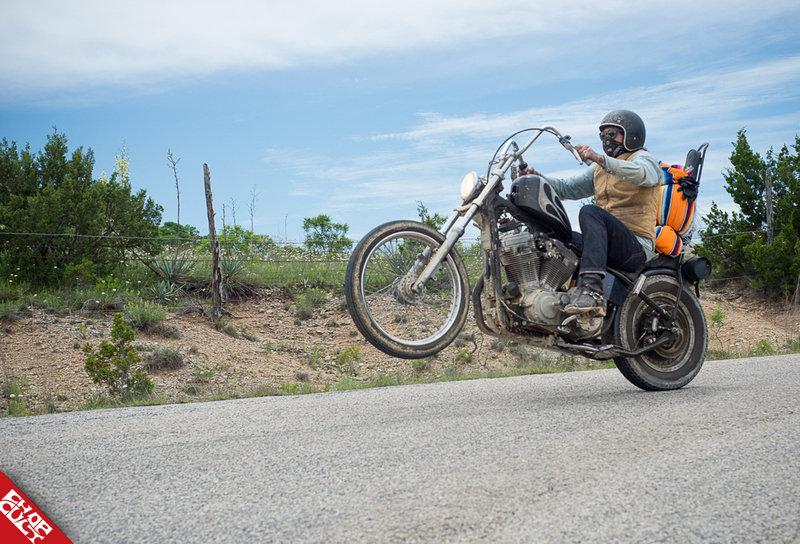 Anywhere that there are friends to ride with and good times to be had. I grew up shooting photos in the Pacific Northwest, so I would say that’s my favorite area. Washington State is unlike anywhere else in the country that I’ve shot. It can be really breathtaking. Do you have a favorite time of day to shoot? Sunrise or Sunset. Any time where there is ample golden light and long shadows. Everyone and everything looks better during the golden hours. Who has been your inspiration in the world of photography? As of recently, most of my inspiration has come from the people who build these machines. My work mostly comes from documenting other people’s art. 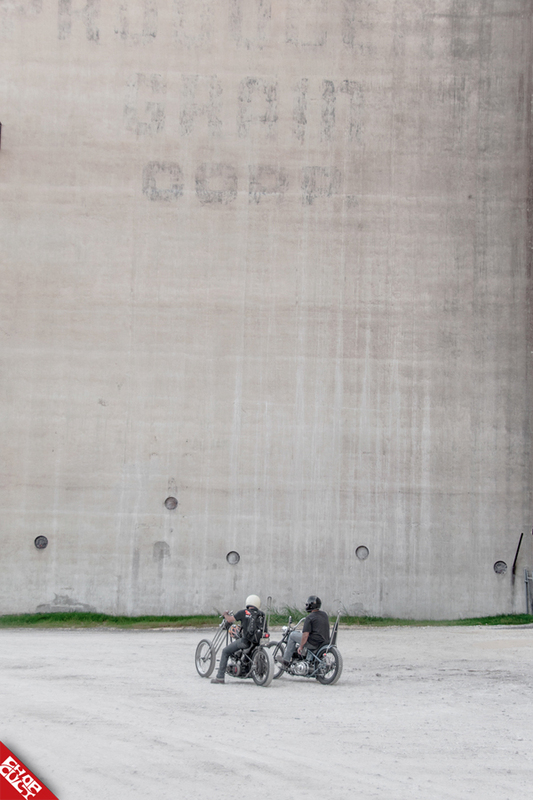 I love to document the people who express themselves through their motorcycles. Purely from a photography perspective, Francesca Woodman, Swampy, and Ryan McGinley are photographers that I have looked up to for a long time. What is The Great White Bison? Where did the name come from and how did your photo book series come about? 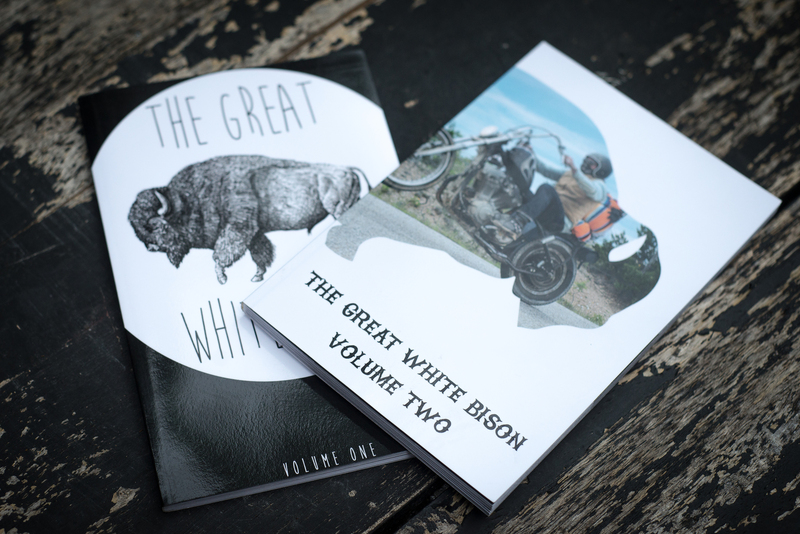 The Great White Bison is an all-encompassing term for my photography work, as well as the name of my series of photo books based on the custom motorcycle scene. It was a nickname in high school and college that seemed to stick; I’ve been obsessed with bison as long as I can remember. The photo books came about as a way to simply get my photos off of screens and into people’s hands. I shot film all through school and have always loved the way it feels to hold a photograph, which I think gets lost in the constant stream of updates and statuses. Not that there’s anything wrong with that, social media has helped my photography tremendously, they are just different. 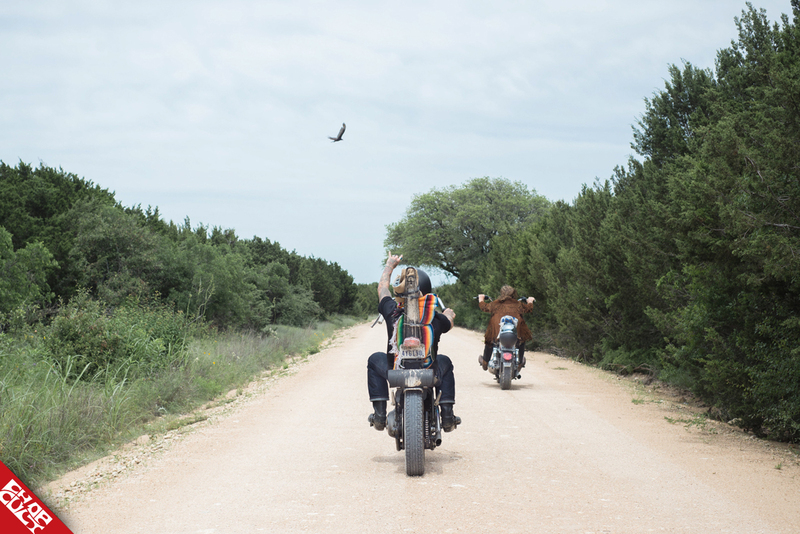 Volume 1 was essentially documenting my travels, the people I met, and the bikes that they built and rode. It was intended to be a little book that my friends would enjoy flipping through. Other people seemed to enjoy it as well, so I put out Volume 2 this past fall and am currently shooting for Volume 3. What does it mean to you when people buy your books and images? It means the world to me that people are interested in what I am doing. Although I think it is more a testament to the artisan builders and craftsmen that are actually fabricating the bikes., Sure I can ride around and take pictures, but I can’t build a bike for the life of me. I’m happy that I can help showcase their craftsmanship and share just a little bit in the process. What motorcycles do you currently own? My current ride is a ‘02 Honda Shadow Spirit chopper. What would you consider as your perfect day? 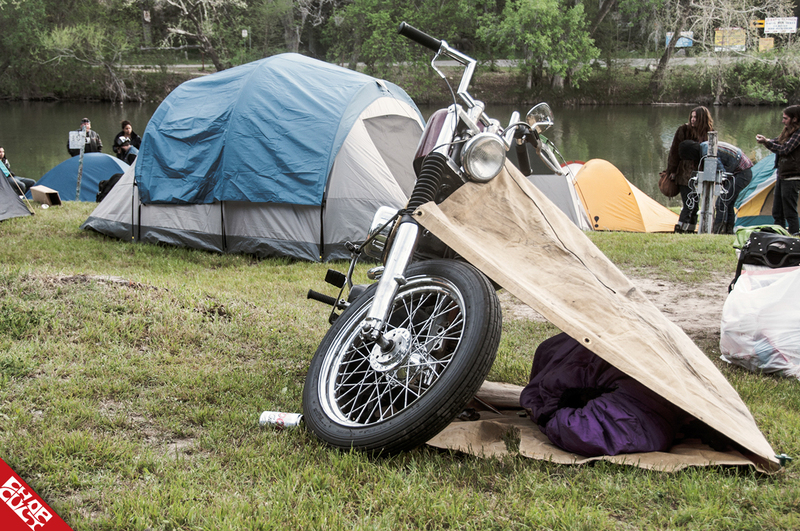 Any day I wake up in a tent or a hammock, pack my bike up and keep riding is the perfect day. What is your best, have to go, can’t be missed, local establishment, and why? The can't miss place in Austin has got to be the Yellow Jacket Social Club. Cheap drinks and good people. I feel like I could go there any day, at any time, and know a bunch of folks. Whenever we come back from a long ride we stop by the Yellow Jacket on the way into town. We're always welcomed by a parking lot full of bikes and a couple of shots. Any plans for 2016 that you would like to discuss? I’ll be traveling and shooting away all year putting together Volume 3. Trying to meet new people and see some corners of the country that I haven’t seen yet. 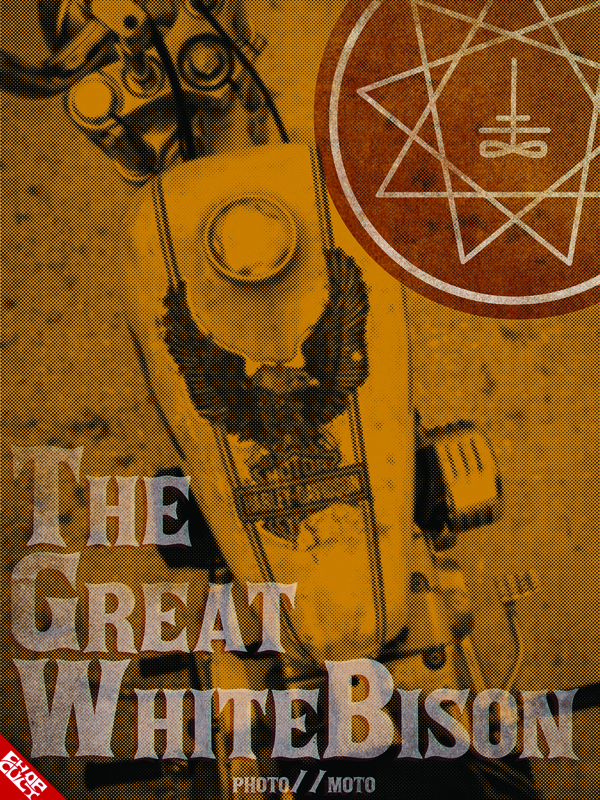 Maybe a little bit of touring with my band Ladykiller, hopefully, a lot of riding and a lot of parties. Anyone you would like to thank? I wouldn’t be able to do any of the things that I love doing without the unrelenting support from my girlfriend and partner Mary Catherine. Everyone who has let me chase them on a motorcycle with my camera and everyone who has supported me by buying a book or a t-shirt. 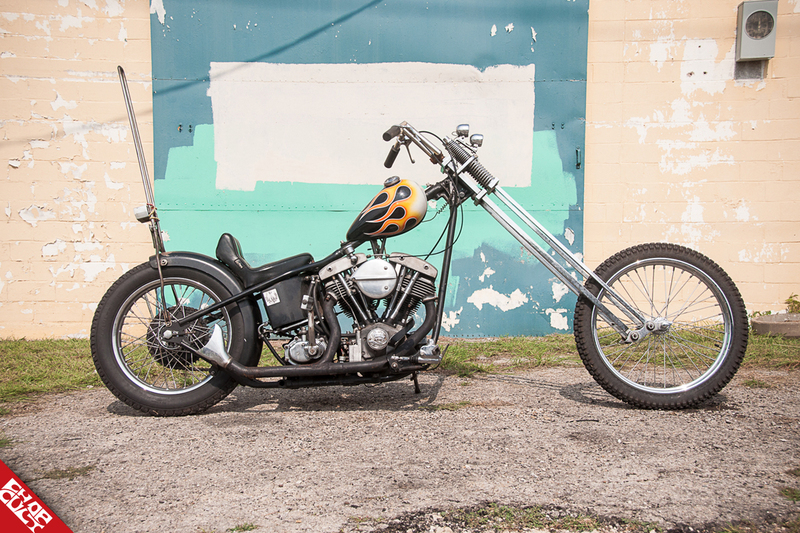 Kenny and Jim from Chopper Supply Co., Scott Harper, Dave Buchanan, Mikey Revolt and the whole Lowbrow Customs team, Lisa at Chop Cult, Tim from Showclass, Kyle, Jay, Mark, Nick, Katy, and the rest of my Austin riding family.